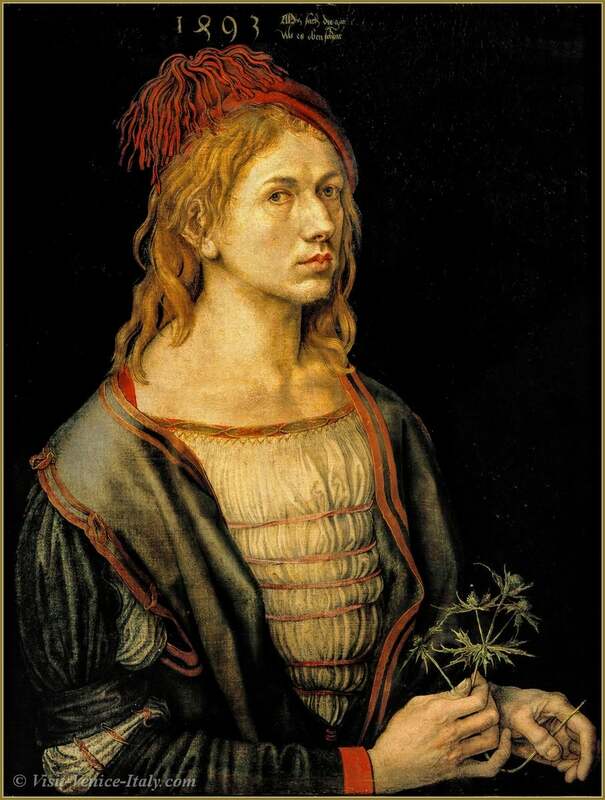 At the end of 1494 Albrecht Durer for whom Italy was an “Arcadia of painting”, arrives in Venice to immerse himself without an intermediary in the heritage of antiquity of the Italian masters as well as his contemporaries amongst who included Giovanni Bellini, Mantegna and Vivarini. Being on the road of the access to the Mediterranean Sea for the German and Flemish traders, Venice had trading posts in Antwerp, in Augsburg and in Bruges. It was very receptive to foreign artistic movements, notably to Flemish and German painting. From 13th century, the Venetians were interested in the art of the northern European countries at the same time as they engaged in business with them. Artistic influence was reciprocal. Inner courtyard of Fondaco dei Tedeschi in Venice Albrecht Durer was accepted in the workshops of Vivarini and Bellini. For him, Giovanni Bellini was the greatest painter. He stayed in Venice until spring 1495 happy to become rich of the aesthetics of the Renaissance and to appreciate its life style. 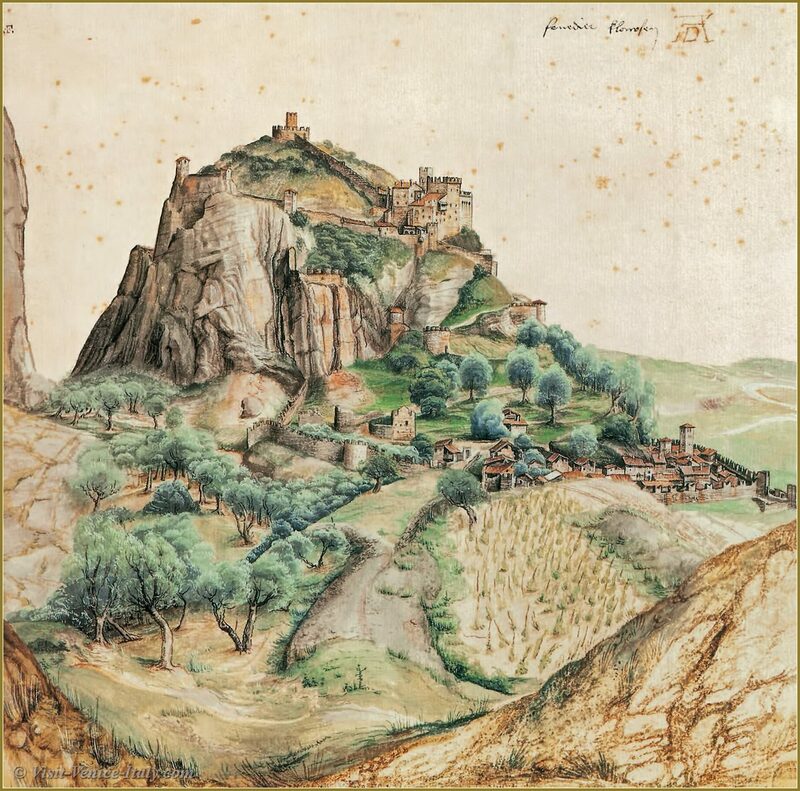 Durer was then lodged in Fondaco dei Tedeschi, which was at the same time a warehouse, an administration and an inn reserved for the traders and for the Germanic nationals, that is to say that the subjects of the Empire included Flanders, Bohemia and Austria. Nemesis 1501 The building belonged to Sérénissime and the traders, most often native to Augsburg or to Nuremberg, was recorded as such and all their activities had to take place within Fondaco, which dated from the 13th century. It burned in 1505 and was replaced by a very functional building: a ground floor approachable by a door of water, with a big inner courtyard surrounded by warehouses. The first floor was reserved for offices, and the upper part which counted about 200 rooms. Inaugurated in 1508 rooms were decorated by grand artists and facades were covered with frescoes of Titien and of Giorgione. 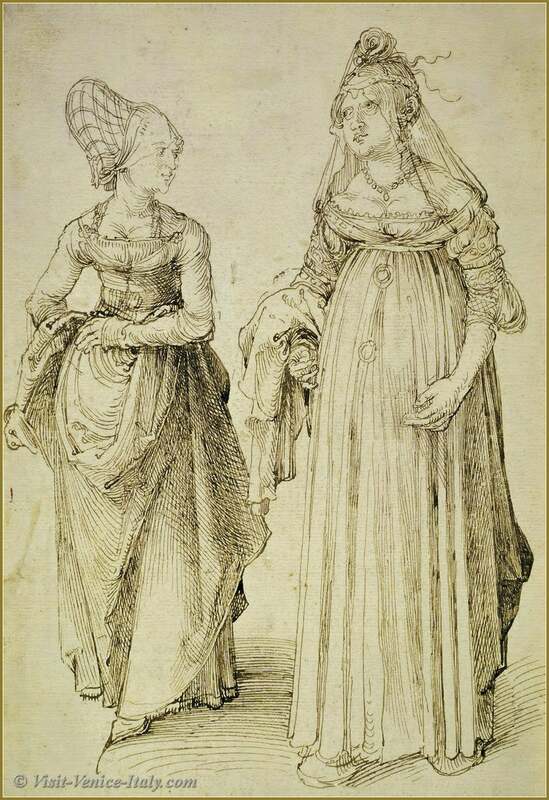 Nuremberg and Venice women The residents took their meals together and led well organized life in a community there; they were also closely watched, as Protestants were suspected of proselytizing in a Catholic republic. When Albrecht Durer arrives for the second time at Venice, he is an established painter from the north acknowledged for his art, caused well to exercise its talents there. Fondaco dei Tedeschi had just burned; Durer was lodged in the inn held by Peter Pender, a Swiss German, situated on the Campo San Bartolomeo, which has disappeared today. In 1506, in four months he paints a retable with the subject of Festival of the Rosary, which is commissioned by Germans merchants for their chapel in the Church San Bartolomeo. He accepted a hundred and ten-florin wage from the Rhenish traders. View of the Arco Valley This second stay changed his technique to treat its subjects and to prepare the backgrounds of its canvases. The Italian influence is evident in his presentations of the Virgin who is no longer “dressed as a German” but in Italian fashion and colors. In this era, he painted Christ Among the Scholars (Aka Doctors) in five days! “Artists helped in a new way to thin down colors with oil and according to lessons and example of the Germans, especially Albrecht Durer, began grabbing thousand aspects of real life. Also, let us see the brown and rigid Byzantine Madonnas on gold bottom giving up the place in the pictures of sacred subject, in which breathes a soft calmness and reigns a harmony full of charm. 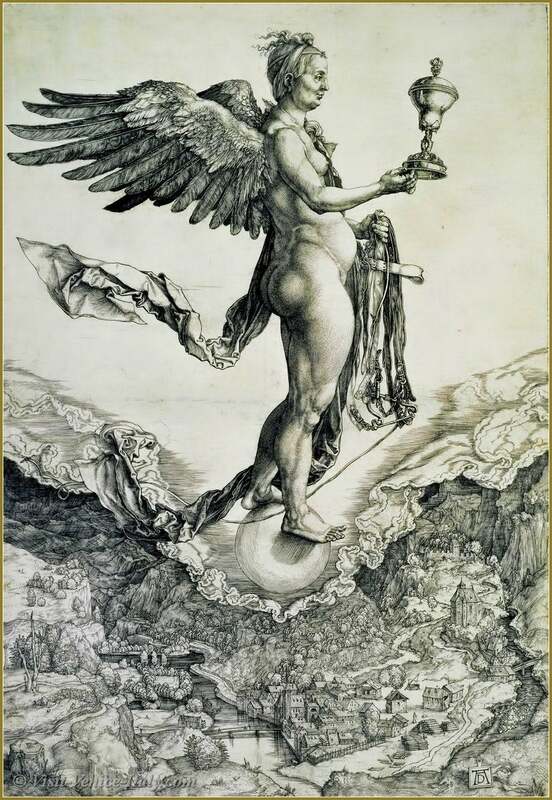 Durer engraved one on wood “View of Venice as the Crow Flies” (housed in the Correr museum) which, while giving us the show of Venice at the beginning of the 16th century, also gives us a beautiful idea of its engraver's talents.